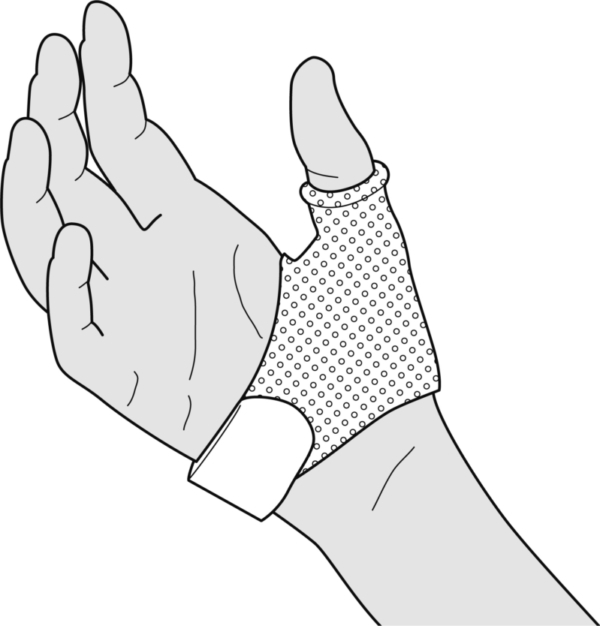 Immobilization of the thenar shaft. 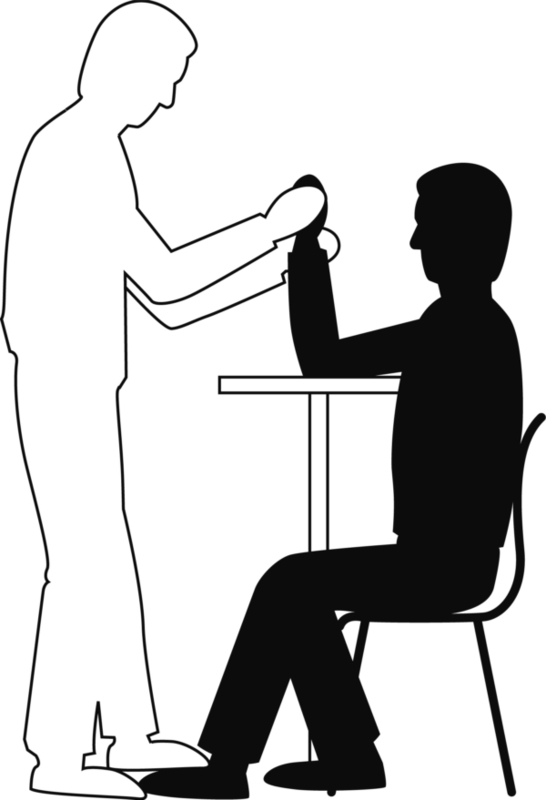 Positioning of the thumb. Place the pattern across the first web space. 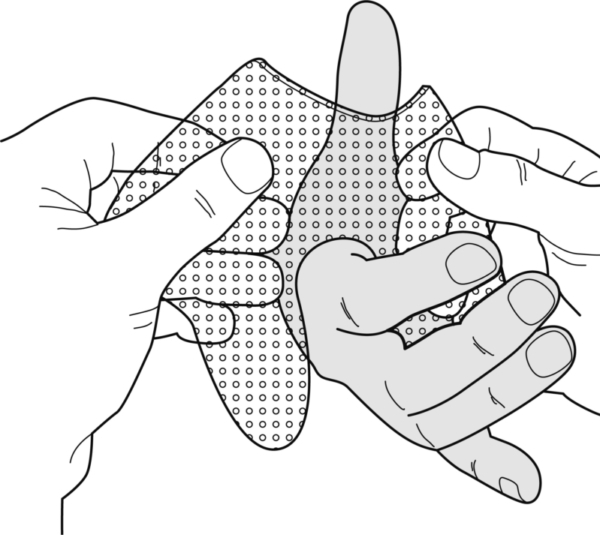 Bring the straight edges together on the dorsal aspect of the thumb and stick them together. Pull the two loose pieces ulnarly and stick them together. As long as the material can be stretched with ease, the seam is raised slightly away from the skin while any surplus material is being cut off. 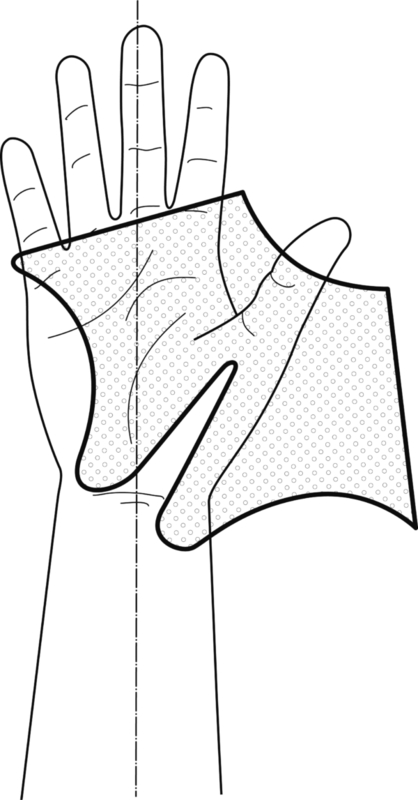 In this way, a nicely and practically invisible seam is obtained. 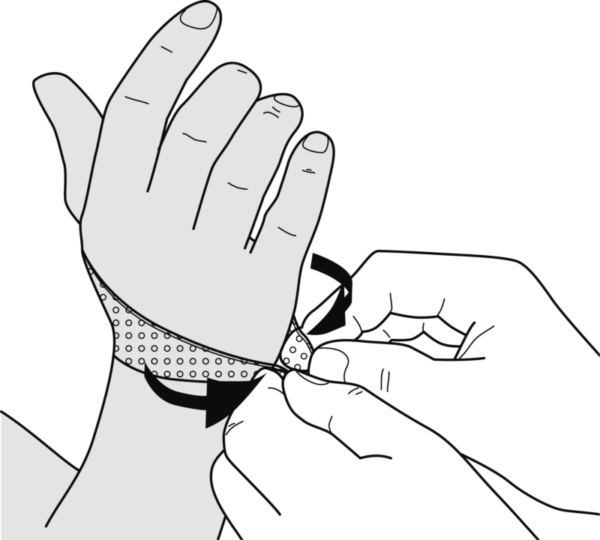 Stretch out the material to get rid of the creases. 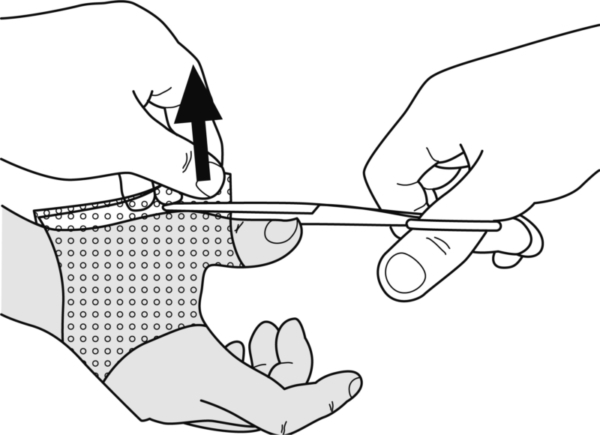 Tear the ulnar attachment loose after the material has hardened, and cut to length. 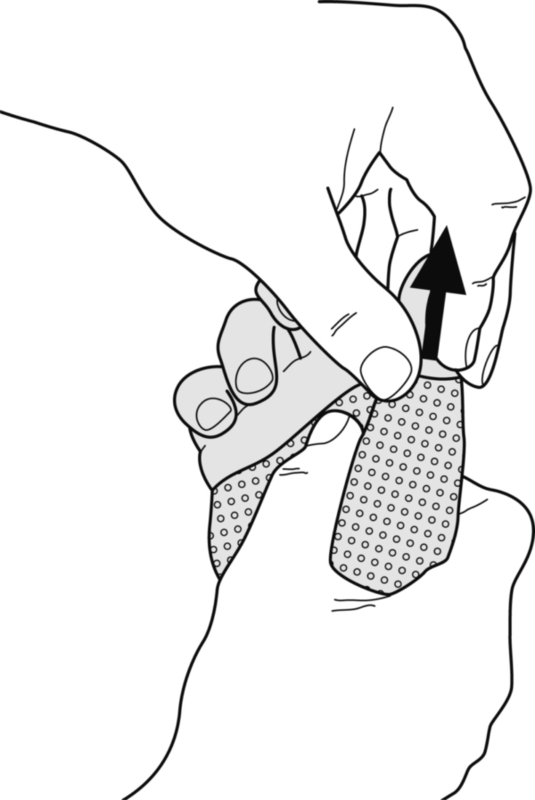 Re-heat the distal edge and turn it around. 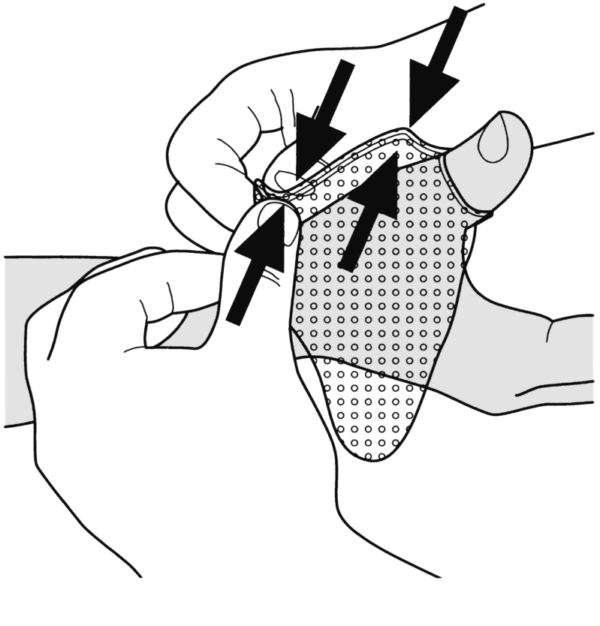 Carefully loosen the seam, heat both edges briefly with a hot air gun and stick them firmly back together. This time the seam should no longer come loose. Attach a short fixations strap.